One of the most dramatic ways to enhance the exterior of an aging home is to replace the garage doors. Doors come in many different designs, colors, insulation values and sizes. Metro Garage Door offers a wide variety of residential garage doors in steel, wood or fiberglass in a traditional or carriage door design and we also offer garage door openers, repairs, and service. We sell a variety of product lines including CHI Doors, Wayne Dalton, Amarr, Clopay and Raynor to name a few. Click links below to view photos and more details. Need Appointment or Quote? Fill out the form below to contact us. Did you know? 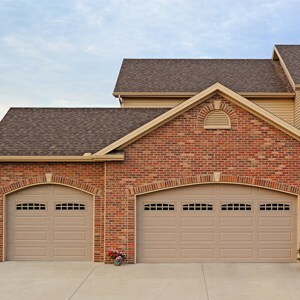 The largest moving object in the most home is the garage door. Despite the reliability and sophistication of today’s automatic garage door systems, they must be periodically adjusted and maintained to be safe. IMPORTANT NOTE: All operators since 1991 have a mechanism that reverses the door if it encounters any obstruction while closing. If your motor does not have this feature they should be replaced. If the door fails to reverse a child or pet could get pinched causing injury or even death. Children should keep clear of the moving doors because of injury to fingers because of section joints, hinges, springs and other door parts.